Teri Raza is a Pakistani drama serial which is written by Naila Ansari and directed by Aabis Raza. In this serial Sanam Baloch and Shehroz Sabzwari are in leading role. This serial will be aired on Pakistani famous drama channel ARY Digital. 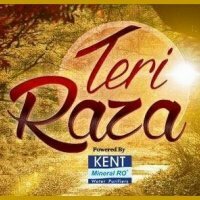 If you are looking for Teri Raza drama actor names, repeat timings, OST title songs, photos and videos then you can find them here. You can also find the public opinions and reviews about Teri Raza drama here.